Another week in sideways price action for some of the pairs I’m watching, but the SMA Crossover Pullback system still managed to catch decent wins. If you’re wondering what I’m talking about, make sure you look at the trading rules and risk management adjustments first. 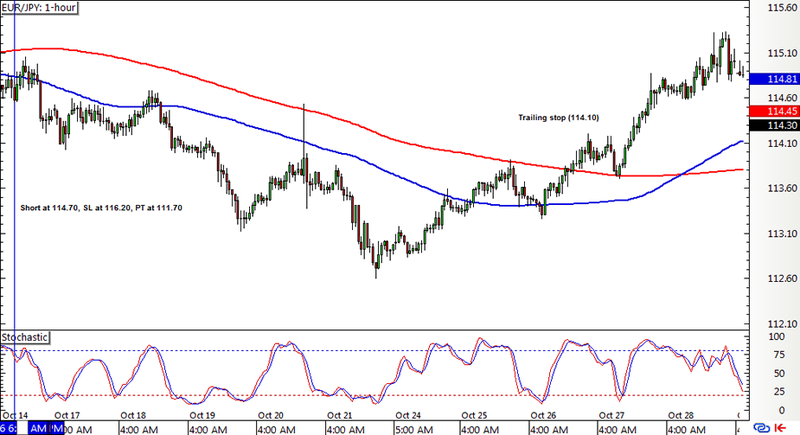 In my earlier update, EUR/JPY had a short position open with the trailing stop already in place. Price pulled up midweek and hit this adjusted stop before a new crossover materialized. 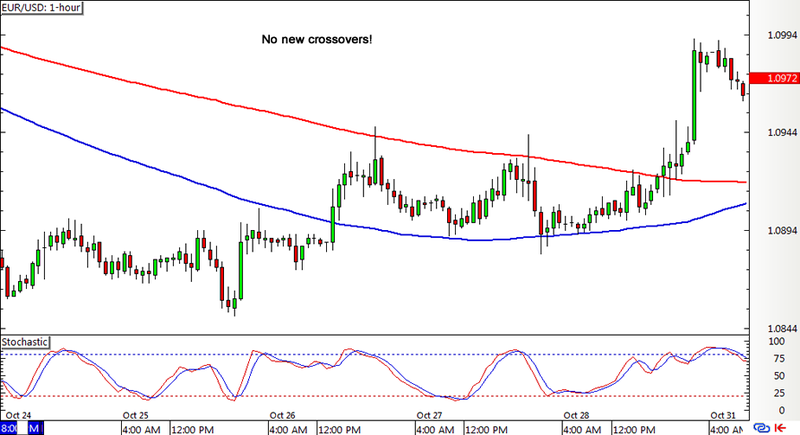 EUR/USD just hit its full profit target on its short position the other week so there were no new crossovers yet while price appeared to bottom out. 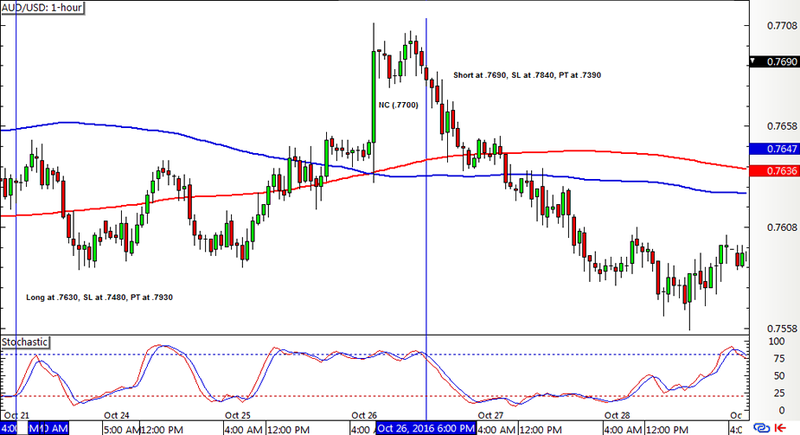 AUD/USD had another range-bound week, causing its previous long position to be closed early on a new crossover (with profits!) and an opposing short position to be opened soon after. 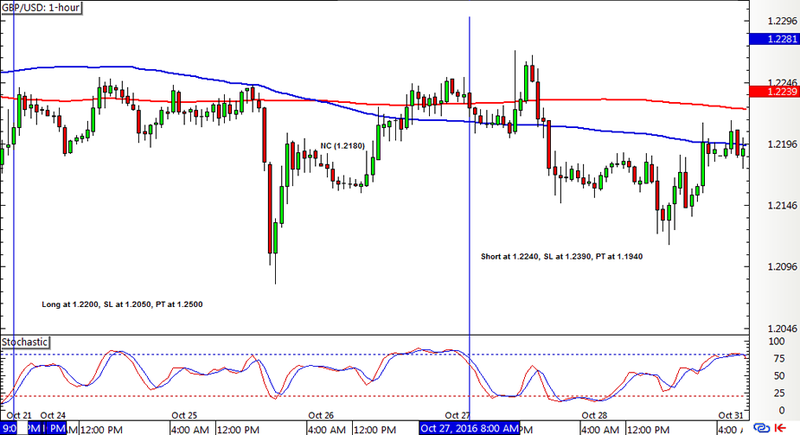 Cable was also stuck in a range as the pair couldn’t seem to pick a direction, leading the moving averages to oscillate. The previous long position was closed on a new crossover as well, followed by a short order. With that, the SMA Crossover Pullback system ended the week with a 110-pip win or a 0.73% gain on the account, which is pretty good given how trends weren’t too strong then. Looking ahead, it looks like these pairs might have a few more days of indecision lined up before possibly establishing a clearer direction, which hopefully would last until the end of the year. Do you think the system can follow up its strong performance like it did for Q3? Stay tuned for my next updates! Here are some books if you want to get deeper into building systems & algorithms. BabyPips.com receives a small credit from any purchases through the Amazon links above to help support the free content and features of our site…enjoy!